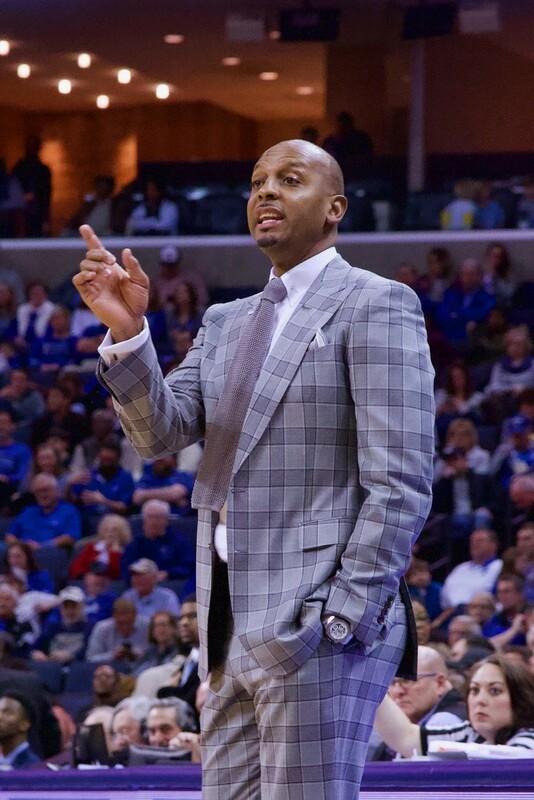 Penny Hardaway's first year as Tiger coach has been memorable, to say the least. A few of the rookie coach's public comments — even those not mentioning Tennessee coach Rick Barnes — should live on. 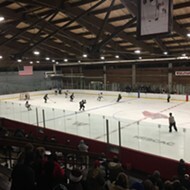 • "You can't come to practice half-assed, going through the motions. We're trying to get better. How you practice is how you play." This remark came after the Tigers' win over East Carolina on January 10th. (I'd never call a crowd "half-assed," but this was among the sleepiest of the season at FedExForum.) Hardaway has had three talented freshmen — Tyler Harris, Alex Lomax, and Antwann Jones — in his rotation since the first game of the season, and they've brought as much frustration as delight. On this night, he replaced Harris and Jones in the starting lineup with seniors Kareem Brewton and Kyvon Davenport. Harris came off the bench and scored 16 points and Jones added 10. Message received. • "Everything magnifies on the road." Hardaway said this, somewhat ironically, after the Tigers' home win over UCF on January 27th. But 20 days after beating the Knights by 20 on their home court, the Tigers lost to the same team, 79-72, in Orlando. They were run off the floor in the first half at Tulsa before outscoring the Golden Hurricane in the second half of a 16-point loss. Then there was the trip to USF when the Tigers spotted the Bulls a 27-1(!) lead before Jeremiah Martin's 41-point second half almost dodged defeat. To date, the Tigers are 4-9 away from FedExForum (3-6 in opponents' buildings). This has to change before any discussions of a nationally ranked team begin. • "As far as our players, you can't put toughness in someone. You have to go out and battle." You want to climb a Hardaway nerve? Talk to him with the Cincinnati Bearcats nearby. 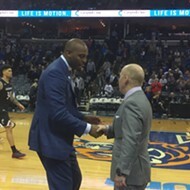 The program that tormented Hardaway as a player is now a standard for him to match as a head coach. A five-point loss to the 25th-ranked team in the country (on February 7th) is no embarrassment. But it's one of five Tiger losses (with no wins) against ranked teams this season. In last week's win over Tulane, Hardaway saw self-doubt in Lomax (a player who has grown up under his guidance), even what he described as "pouting." The freshman didn't play after halftime. Watch this area of Hardaway's development program. If toughness can't be taught, can it be discovered? • "Last year was not who we were [as a program]. We're headed in the right direction. We're going to higher places, and we'll be there sooner than later." 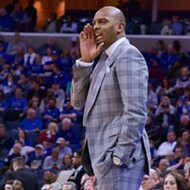 Hardaway was emboldened by his team playing third-ranked Tennessee even (87-87) after falling behind, 15-5. If there was a "moral victory" this season, it came on December 15th. Tennessee brought size, muscle, and big-game experience to FedExForum, and if you ignore the game's first five minutes, the Tigers didn't flinch. This series and other interconference rivalry games are on the way back, which will indeed take Memphis basketball to higher places. • "I'm gonna try and stay even-keeled, and not get too animated." 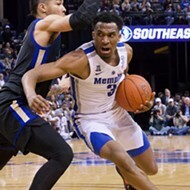 Hardaway explained why he stood for the entire game after the Tigers' season-opening win over Tennessee Tech. It's his "thinking pose." And Hardaway has blocked much of my view from press row ever since. He's yet to pick up a technical foul. And he's yet to call an official by name (a John Calipari specialty), preferring the universal "ref." 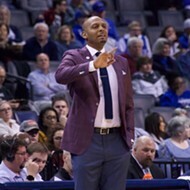 With memories of Calipari and the emotive Josh Pastner still vivid, Hardaway's sideline demeanor has transformed the presentation of Memphis basketball. Grounded, focused, determined. With work to be done.